We understand that going green isn’t just a trend – it’s a lifestyle and the way to a sustainable future. That’s why we’re proud to offer a range of eco-friendly packaging solutions for businesses of any size. Our green products are designed specifically to minimize waste and promote the conservation of natural resources. The Packaging Company has been Forest Stewardship Council® (FSC®)certified by the Rainforest Alliance which ensures our customers have a range of environmentally conscious product options. In addition to producing our certified products in a green manner, we also work with Zerofootprint programs to carbon-offset the impact they do have. Ask about our eco-friendly packaging and how The Packaging Company can support your business in going green. As the number of large corporations joining the green movement increases, so does the demand for environmentally sustainable products. This commoditization of “green” has made making smart choices less expensive and more accessible for small to medium-sized companies, too. 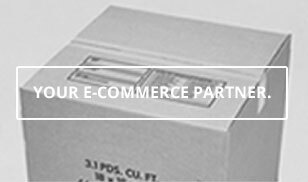 At The Packaging Company we offer businesses of any size a wide range of responsible solutions that suit most needs, whether you need to ship 50 items or 5,000. To make sure we’re putting the most into our conservation efforts, at The Packaging Company we’ve built our business around sustainable solutions that are used in our everyday operations. Our facilities in both Canada and the USA were designed to maximize the amount of natural light we can use in order to reduce our power consumption. To cut it back even more, our policy is to power-down all of our packaging-related equipment throughout the day whenever our employees are on break. We also pay careful attention to how all of the materials within our facility are handled and used, with special care being given to reusing and recycling as much as we can to make sure our environment’s resources are sustainable for years to come. We work hard on reducing our carbon footprint and are proud of our results.